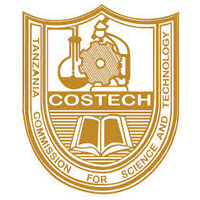 COSTECH began operations in 1986 and since then, it has been the principal advisory organ of the government on all matters relating to science, technology and innovation (STI). It is entrusted with the advisory role of formulating policy on science and technology and its implementation; it monitors and coordinates scientific research, technology development and transfer; acquires stores and disseminates scientific and technological information and fosters regional and international cooperation. The Commission through the support of Human Development Innovation Fund (HDIF) intends to strengthen its capacity to acquire stores and disseminates scientific and technological information by recruiting a data analyst who will support the Director responsible for knowledge management to maintain and sustain systems and procedures of extracting knowledge from science, technology and innovation data in various forms. Data Analyst will be responsible to assist the Director of Knowledge Management in applying data mining techniques, doing statistical analysis, and building high quality prediction systems integrated with COSTECH services. The post holder will have an understanding of the area of research support and scholarly communication. The Data Analyst will report directly to the Director of Knowledge Management. 1. Develops data collection instruments; develops and utilizes instruments and methods for the evaluation and quality control of research or operational data including publications. 2. Collects, analyses, interprets, and summarizes data in preparation for generation of statistical and analytical reports. 3. Maintains computerized collection and tracking of relevant data. 4. Utilizes specified statistical software to analyse and interpret research data, publications and other knowledge products, including compliance to open access, as appropriate to the individual position. 5. Maintains appropriate records of research methods and results. 6. Designs and/or develops specific databases for collection, tracking, and reporting of research data, publications and other knowledge products, as appropriate to the position. 7. May participate in or initiate proposal writing and funding searches; may develop and/ or present training programs in field of expertise. 8. May provide a variety of professional, fiscal, administrative, and/or clerical services to the organisation. 9. May lead, guide, and train staff/student employees, interns, and/or volunteers performing related work; may participate in the recruitment of volunteers, as appropriate to the area of operation. A holder of a master degree in Information Science, Computer Science and/or Statistical Analysis studies or related field from recognized institutions with at least three (3) years demonstrated working experience in scientific data analysis. • Programming skills in statistical languages like R and python. • Skills on video editing applications like Adobe Premiere Pro. • Strong communication skills, ability to work independently as well as ability to supervise others and fluent in Swahili and English. 1. Application letter, briefing stating why the candidates qualify for the position. 2. A current resume or curriculum vitae that provide clearly the applicant's work experience and other relevant information for the job. 3. Academic and professional certificates and awards. 4. Names of three referees. Applicants are requested to indicate their telephone numbers and e-mail addresses for easy contact. All applications must be addressed to the undersigned and submitted not later than 30th December 2017. Applicants who will not be contacted should regard themselves unsuccessful.